Click on the links below to help support our mission. It's that easy! AmazonSmile is the same Amazon you know. Same products, same prices, same service. Only difference is, 0.5% of the price of your eligible AmazonSmile purchases go directly to our research. No extra charge to you! Shop or sell and support The Frankie Foundation on eBay. Add us as your Favorite charity on eBay to see us as your preferred charity in eBay checkout. You will also be able to easily donate a portion of your proceeds to us when you sell on eBay AND get some of your seller fees waived and receive the tax credits. The eBay for Charity platform makes it all happen! Visit our charity page today and be part of a growing eBay community that has donated hundreds of millions of dollars to thousands of charities. Interested in some yummy, homemade, natural treats that you and your pups can ALL enjoy?! 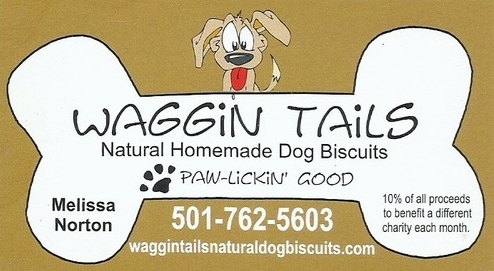 Click on the picture above and visit our friends at Waggin' Tails and try some today!